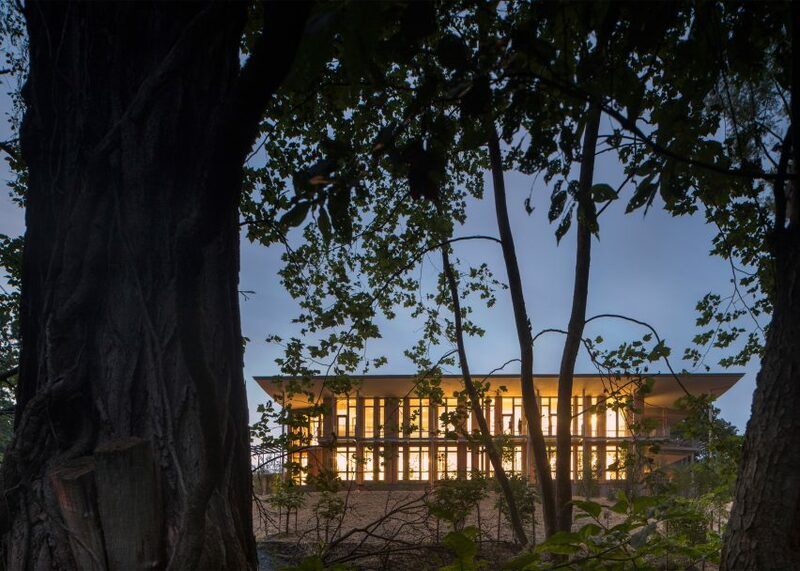 Nature centre in Pittsburgh "blends with the surrounding woods"
The thin columns and wood cladding that front this educational facility in a Pittsburgh park are designed to help the building fit in with its woodland setting (+ slideshow). 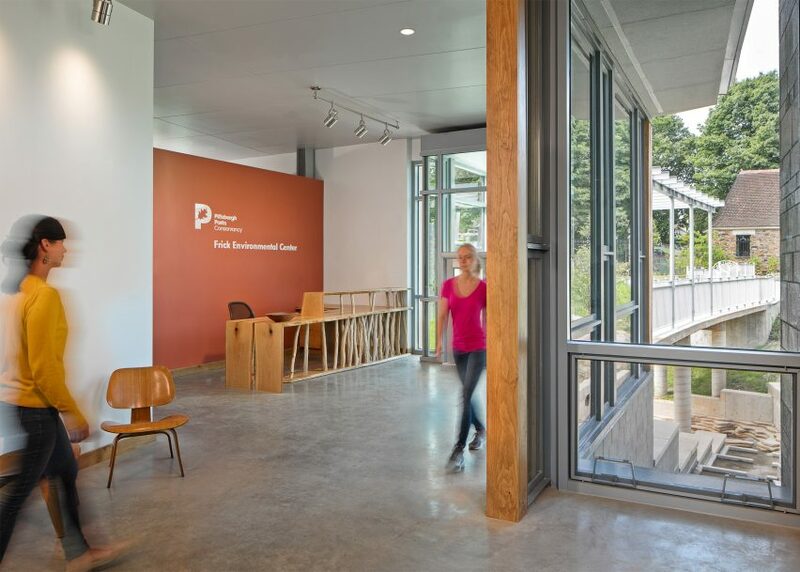 Designed by American firm Bohlin Cywinski Jackson, the Frick Environmental Center is located in Pittsburgh, Pennsylvania, and serves as a gateway to Frick Park – a 644-acre (260-hectare) park that was created in 1919. 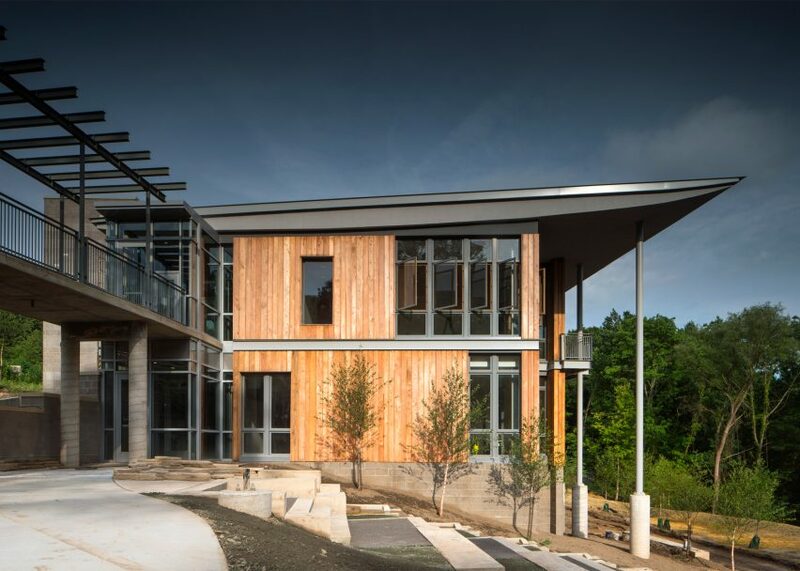 A joint venture between the city and the Pittsburgh Parks Conservancy, the centre is designed to achieve Living Building Challenge certification, which is awarded to projects that demonstrate a high level of sustainability in areas such as water and energy usage, materials and health. 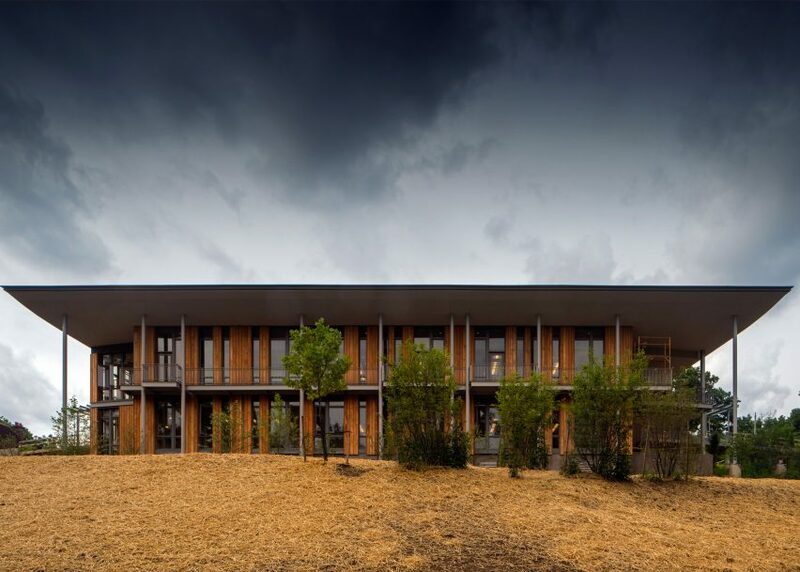 The centre would be the world's first municipally owned, free-admission facility to achieve Living Building Challenge certification, according to the team. 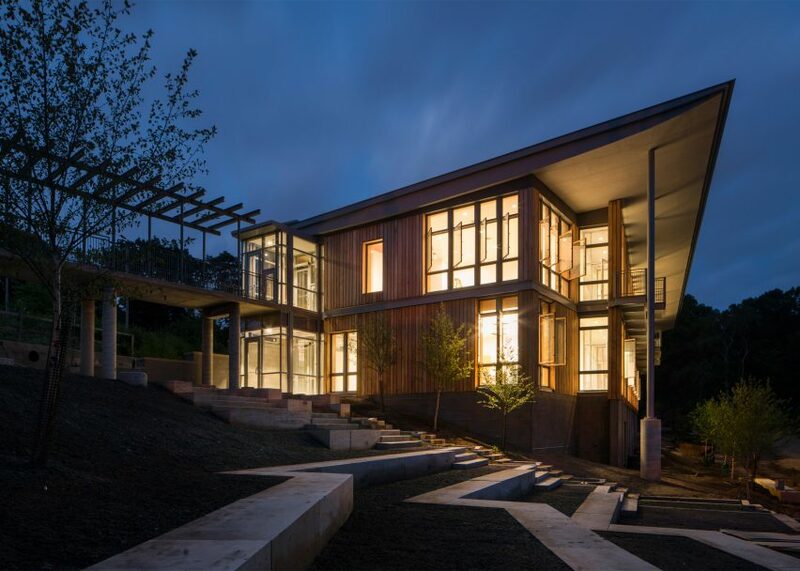 Nestled into a hillside, the building is fronted by an allée of native trees, and is entered via a walkway and bridge. The rectilinear structure is topped with an expansive roof with deep overhangs supported by thin columns. The glass and wood facades are designed to respond to the natural surroundings. 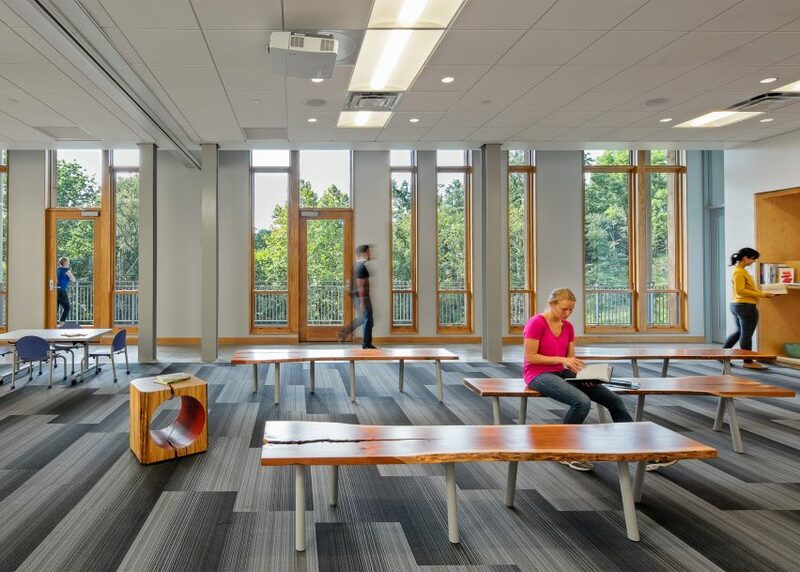 "The building's exterior, clad in locally and sustainably harvested black locust, blends with the surrounding woods, evoking a tree-house quality," said Bohlin Cywinski Jackson, a firm started in 1965 and based in Wilkes-Barre, Pennsylvania. 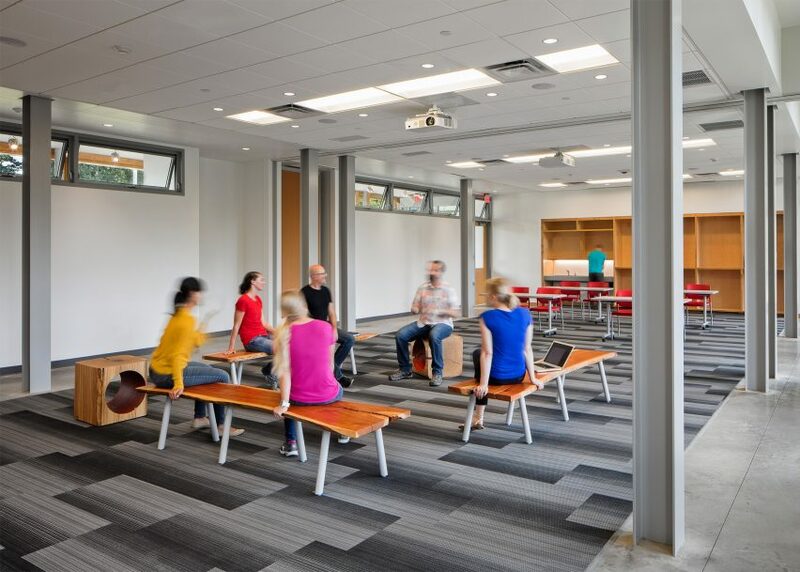 Encompassing 15,600 square feet (1,450 square metres), the building serves as an education centre for public school children, as well as "hundreds of thousands of people" expected to visit each year. There is no entry fee. The building contains classrooms, a "public living room" and gallery, offices, storage space and support areas for staff. The project also entailed the restoration of historic gatehouses and a fountain. The pared-down interior features polished concrete floors, and tables and benches made of rough-cut wood. Operable windows facilitate natural ventilation, while full-height glazing offers expansive views of the verdant park. "Inspired by the clients' mission to educate and engage, the project incorporates many of its sustainable features as interactive elements in the building and site design, providing children and families with hands-on environmental education, and fulfilling the centre's role as a living classroom", said the team. The facility is engineered to consume 35 per cent less energy than a comparable building. It will achieve net-zero energy and water usage through elements such as ground-source heat pumps, radiant floors, a photovoltaic array and a system for capturing and reusing stormwater. "To minimise the project's carbon footprint, all building materials came from within a 1,200-mile radius of the site," the team added. 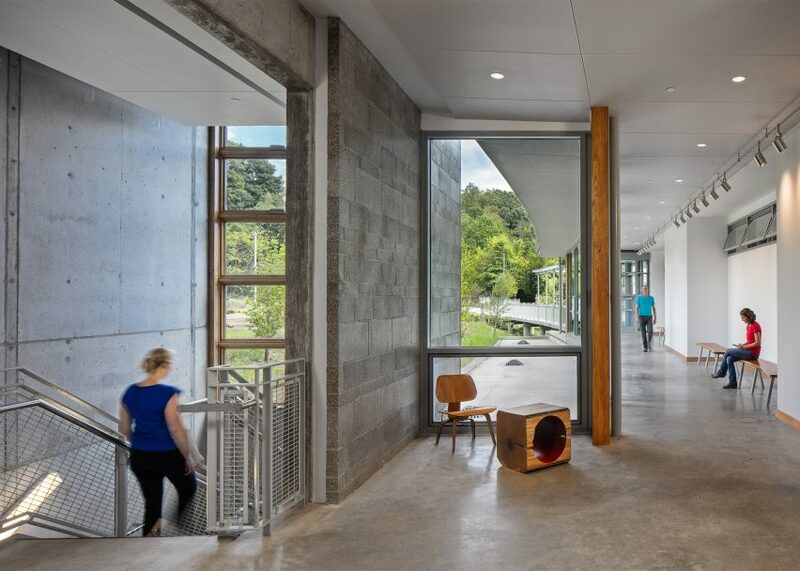 The Living Building Challenge certification program is overseen by the Oregon-based International Living Future Institute. Buildings must be in operation for at least one year before being eligible for evaluation. 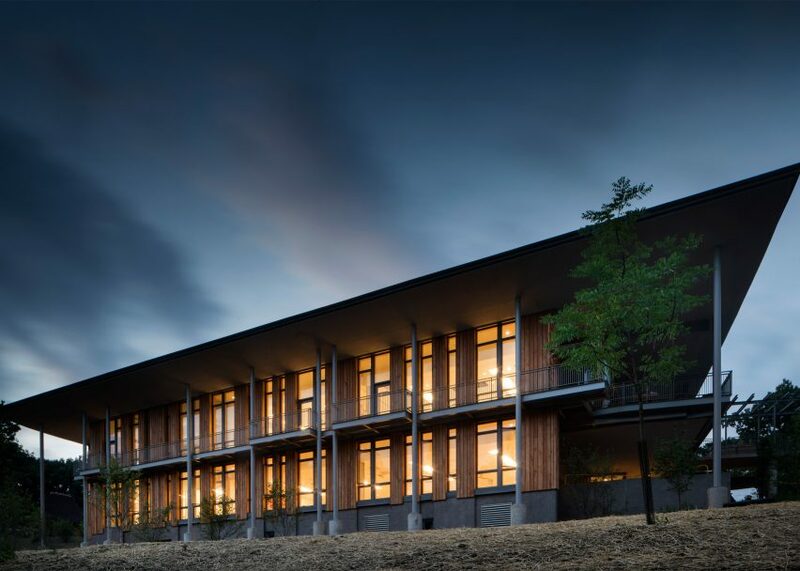 Other recent sustainable projects in the US include a net-zero energy home designed by students in a design-build programme at the University of Kansas, and an academic facility at Berkeley by Leddy Maytum Stacy that is topped with a roof entirely covered in solar cells.